Kenyan scholar Wanjiku Beatrice Mukora asserts that “women filmmakers have been very significant in forming the foundations of national cinema in Kenya”. In fact, the Kenyan female presence in African cinema dates back to the late 1970s and early 1980s with the emergence of Jane Murago-Murene and Anne Mungai who have forged an impressive repertoire of documentary work. 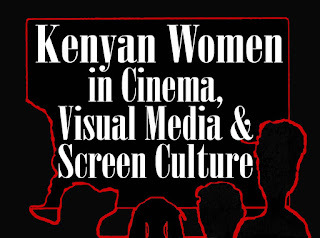 Moreover, Women in Cinema in Kenya, the provisional committee of African Women in Film and Video (Kenya section) was put in place in Kenya at the beginning of 1993, consisting of Eulalie Namae, chairperson, Anne Mungai, organizing secretary, Dommie Yambo-Odotte, secretary, Jane Murago-Munene, treasurer and members Jane Lusabe, Elizabeth Kamau and Irene Mwakasi The organization is affiliated with the AWIFAV, created in Accra, Ghana in November 1992. I think my role is to promote the image of the African woman. When I finally started going to the cinemas and watching television programs in Kenya, each time an African woman appeared she played a very weak character. She was always a cook, a servant to somebody, a mistress to somebody, a slave, she's crying, she's pregnant. So the images that I saw on the screen and on television were always of an African woman in trouble. I said yes, but how does she overcome these problems? That was never shown. I think that is what motivated me. I've seen my mother, I've seen her in trouble, I've watched my father die, there was my mother with six children. We are all grown up and I admire the way she did it. I then started wishing that I saw more films with strong African women characters; that is the role I want to play. There is a gap, and I want to fill it in my films. Jane Murago-Murene, with Anne Mungai, Jane Lusabe and Dommie Yambo Odotte who trained at the Kenya Institute of Mass Communication, as well as German-trained Wanjiru Kinyanjui, comprise the first wave of Kenyan women filmmakers—emerging in the 1980s. While Esther Adagala is most noted for her work as a media specialist, she is also among these pioneers with the 1984 documentary Women in Health. Dommie Yambo-Odotte who is executive director of the Nairobi-based organization Development Through Media created in 1996, is also a director with a significant body of work produced in the 1990s. Jane Murago-Munene similarly wears multiple hats--as filmmaker, chairperson of the Kenya National Film Association and Eastern Africa regional secretary of Fepaci (the Pan-African Federation of Filmmakers). Wajuhi Kamau who produces video educational materials for the Educational Media Service, a department within the Kenyan Institute of Education, directed Mine Boy in 1998. Also in the 1990s, Elizabeth Okodo, Mary Wagaturi Otuka and Njeri Karago debuted with a film—Immmunization Spots (1994) and Through Women’s Eyes (1996), Ascent (1996), respectively. It is difficult to get into African cinema for both women and men, but it is harder for women. Women have lots of ideas at the moment about how to convey their problems and concerns on the screen. The major problem remains the sources of funding. These sources have to be opened up to African professional women who can talk about the problems of women certainly better than anyone else. The first decade of 2000 has been equally productive with the debut films of Wanuri Kahiu, Wanjiru Kairu, Judy Kibinge and Hawa Noor. Wanuri Kahiu’s second film, the award winning From a Whisper (2008) is a fiction work about the 1993 terrorist bombing of the US embassy in Kenya from the perspective of the local people who were the main victims. The term invokes an idea, something that we are heading towards. I feel a sense of sisterhood every time I meet an African female filmmaker. You are joined in purpose. But having said that I don’t feel the existence of a big network because I feel that things keep us from that network, language for instance. I wish that we could take this translation booth and headphones to breakfast even. Because there are so many things that you want to say and there is a distance caused by language, at festivals for instance. But despite that, when you speak with sisters, with filmmakers, who create these pieces like you, there is definitely an immediate kinship. Producers are very important as they do the behind the scenes tasks of searching for funds and the myriad tasks of film production. According to Women's E-news (1) producer Njeri Karago mortgaged her home and land to meet the budget for the film she was producing. Producer Catherine Wangui Muigai, of Kaza Moyo Films, an audio visual company, worked with Anne Mungai for the film production of Saikati the Enkabaani (1998). African women should take part in film criticism because they can correct images of themselves and even of their surroundings. Their point of view is important, seeing that they comprise at least half the population of the continent; and also, they can also tell us how they really see men, either as a suppressing group, as husbands, as fathers, as rulers, etc., and be able to pinpoint some discrepancies evident in the way they apparently "are" or how they "think". Thus, it is fitting to highlight the work of scholar Wanjiku Beatrice Mukora among the contributions of Kenyan women in cinema as her scholarship is important to the study and research of African women in cinema. Her 1999 Master’s Thesis “Disrupting Binary Divisons: Representation of Identity in Saikati and Battle of the Sacred Tree” analyzes the films of Anne Mungai and Wanjiru Kinyanjui. She follows the footsteps of researcher, Esther Adagala whose works include “Situation of Women and the Media in Africa” and “Women's Access to Decision Making in and through the Media with Particular Reference to the East African Situation” Both works were published by the Women in Communication Trust in Nairobi, Kenya, 1993 and 1994 respectively. 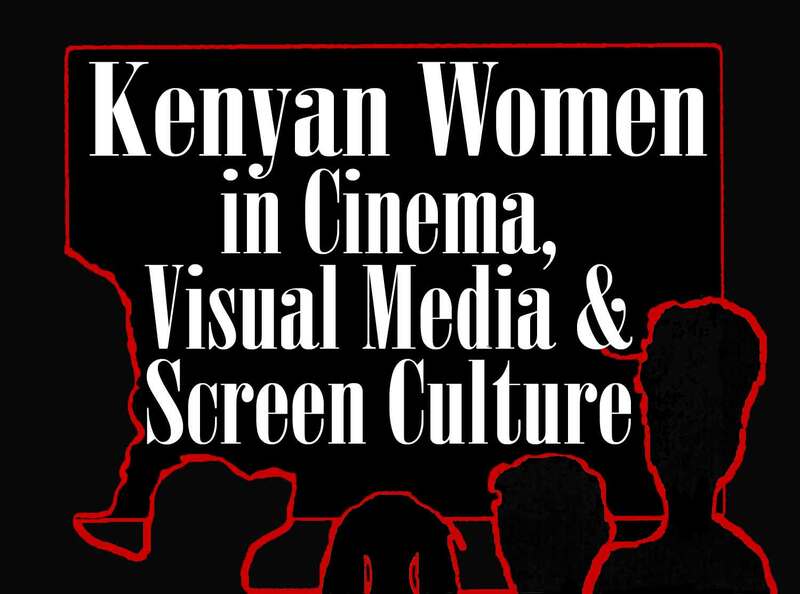 As filmmakers, producers, researchers and scholars, Kenyan women in cinema each in her own way plays an important role in the development and evolution of African cinema. Women’s E-news (http://www.womensenews.org/article.cfm/dyn/aid/1997/context/archive) last accessed 8-30-09. No longer active. Ecrans d'Afrique, no. 3, 1993. “Women's Access to Decision Making in and through the Media with Particular Reference to the East African Situation”. Women in Communication Trust, 1994. “Situation of Women and the Media in Africa”. Women in Communication Trust, 1993. Trans-formal aesthetics and cultural impact on Ousmane Sembene's Xala. In Ousmane Sembène and the politics of culture. Eds. Lifongo Vetinde and Amadou T. Fofana. Lanham, Maryland : Lexington Books, 2015. Style and content in selected Kenyan message films: 1980–2009, PhD thesis. Nairobi: Kenyatta University, 2013. "Beyond Tradition and Modernity: Representations of Identity in Two Kenyan Films." Women Filmmakers Refocusing, eds., Jacqueline Levitin, Judith Plessis, Valerie Raoul. University of British Columbia Press, 2003, pp. 219-228. Disrupting Binary Divisions: Representation of Identity in Saikati and Battle of the Sacred Tree. Master's Thesis, McGill University, Montreal, 1999. (Last accessed December 2017). Award winning actress Lupita Nyong'o is also part of the impressive list of Kenyan Women in Cinema. See the distributor website Third World Newsreel for her 2008 debut film In My Genes See: http://www.twn.org/catalog/pages/cpage.aspx?rec=1222&card=price. 04 OCTOBER 2009.